Canadian Artist Leah Dockrill studied art at the University of Alberta and the Toronto School of Art. Her academic education includes Education and Law degrees from Dalhousie University, and Master of Library Science, University of Alberta. Her visual art practice began with watercolour paintings and evolved into acrylic paintings on canvas, mixed media, collage, and digital art. Her subject matter includes many genres – landscape, botanical themes, still life, coastal imagery, abstract. 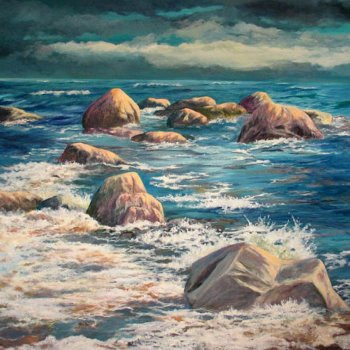 During Leah’s art career she has exhibited her work primarily in Ontario, and also in Halifax, Calgary, Montreal, and Victoriaville, Quebec. Selected public exhibition venues include the Leighton Art Centre, Calgary; The Halifax Club and the Nova Scotia Archives, Halifax; Propeller Centre, Toronto; the (formerly) Hummingbird Centre, Toronto; Scarborough Arts Council, Toronto; the Art Gallery of Northumberland, Cobourg, Ontario; Gallery on the Grande, Waterloo; the Women’s Art Association of Canada; Latcham Gallery, Stouffville, Ontario; Laidlaw Art Gallery, Mississauga; Musee Laurier, Victoriaville, Quebec; Joseph Carrier Gallery, Toronto. 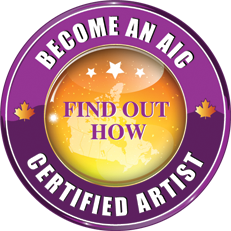 She has been an elected member of the Society of Canadian Artists since 2000.